In quest of 13,000 Easter Eggs…. 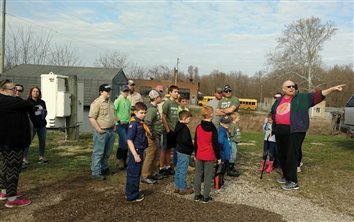 Youngsters and adults alike enjoyed the annual Easter Egg Hunt of the Wellston Sons of the American Legion Post 371, which was conducted Saturday, April 20 at the ball fields off State Route 327. 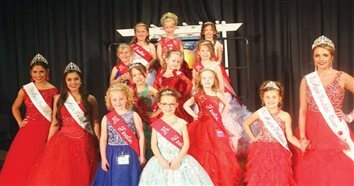 Ten finalists for the title of 2019 Little Miss Apple Festival were selected at a contest Friday evening, April 19, at the Jackson Middle School Auditorium. Details are falling into place for annual Jackson High School (JHS) Alumni activities, which are scheduled for Saturday evening, May 25, at two different locations in Jackson. 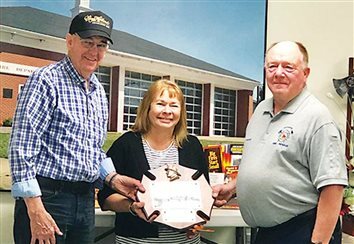 The 65th Annual Wellston Rotary Show was presented Friday and Saturday evenings, April 12 and 13, at Wellston High School. 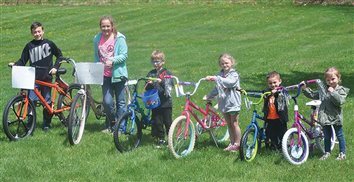 Thanks to Michael McDonald, the Village of Coalton will host an Easter Egg Hunt this Saturday, April 20, at noon for kids 12 and under. 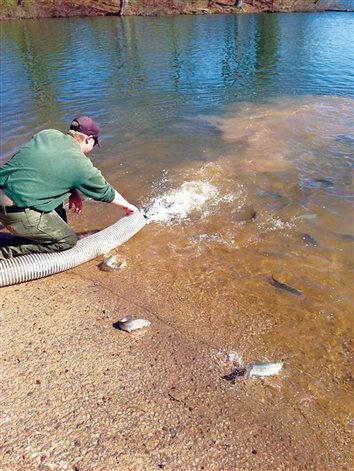 The Jackson FOP Lodge 96 will once again conduct the annual Jackson Trout Festival this Saturday, April 20, at the City of Jackson’s Hammertown Lake. The Civil War was on everyone's mind when 29 adults and youngsters met at the Berlin Heights Civil War Battlefield at Berlin X-Roads on the morning of Saturday, April 6, to accomplish the annual battlefield clean-up program. A good number of lads from Boy Scout Troop 48 and Cub Scout Pack 48, along with some moms and dads, started the clean-up at 10 a.m. 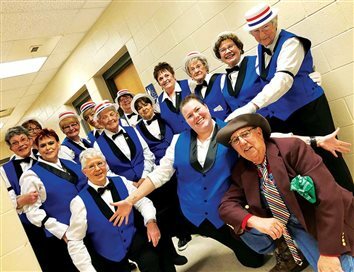 The 65th Annual Wellston Rotary Show went off without a hitch last Friday and Saturday, April 12 and 13, as the group presented “Cruising down the River.” The Show Committee was comprised of Dorothy Riepenhoff, Connie Hendershott, and Dana Wiseman. The Wellston Rotary Club gave thanks to the following for a job well done: Dorothy Riepenhoff, director; Connie Hendershott, Olio director; Aiden Thorpe and Grant Plummer, sound and lights; Bailey Dupree and Madelyn Weber, teleprompter; and Ryan Molihan, Josh Bodey, Zack Howell, and Cole Simms, stage crew. In the accompanying video clip, Joe Essman, along with The End Men, perform "I'm Goin' Back To Whur I Come From." For more detailed coverage, check out Wednesday's edition of The Telegram.